665.00 sqft. - 1095.00 sqft. 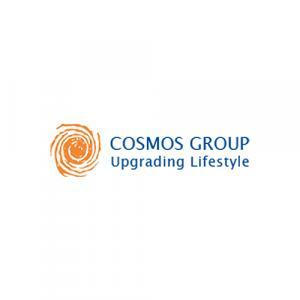 Cosmos Group presents a housing project located in Thane West, Thane. The project comes equipped with all the basic facilities necessary to meet daily requirements of the modern urban lifestyle of its residents, including . In Cosmos Hills , the interiors are thoughtfully designed to provide adequate space, light and ventilation to the residential units. Thane West is well-connected to other parts of the city via an extensive road. Thane is a popular area in Mumbai, Maharashtra. National Highway 3, 4, State Highway 42 and 35 are the arterial roads that help in connecting this place to the neighboring areas. The region houses Thane Station that lies on the Central and Trans-Harbour Railway lines. Thane West abodes Wagle Industrial Estate that offers a number of job options to the people residing in and around this region. Billabong High International School, Smt. Sulochanadevi Singhania School, R.J. Thakur College, NG Bedekar College are famous educational institutes here. Korum Mall, High Street Mall, Viviana Mall etc are famous shopping destinations in Thane West. Owing to its connectivity advantages, peaceful atmosphere and a wide range of choice for recreational activities, this area is transforming into one of the favorite destinations in the Mumbai Metropolitan region. Cosmos Group Pvt Ltd was founded about a decade and a half years ago with a mission to provide customers with quality construction, timely possession, transparent dealing and creating homes that truly upgrade your lifestyle. The engineers and architects who form the backbone of the company have spent numerous years in the Real Estate business establishing them in the construction industry and have now become a name that is considered royalty in the field. Cosmos Group Pvt Ltd will ensure that the creativity of their employees is harnessed to build excellent properties that set new standards of excellence in every aspect and win the trust of their customers.